~The Forest does not belong to us, we belong to the Forest~Many words are not necessary to convey truth, but many faces are. The more beautiful faces that come together, the more beautiful the story is. 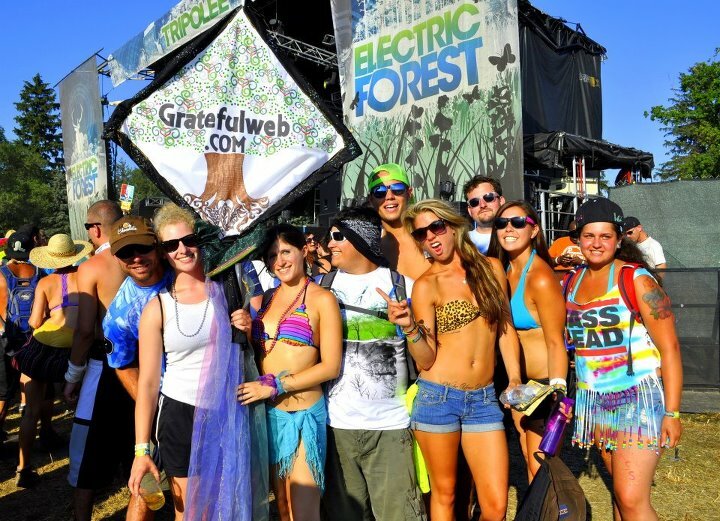 This weekend, 6/27- 6/30/2013, so many beautiful faces will create the pages of our story at Electric Forest Festival in Rothbury, MI. Like infinite butterfly wings, precious and painted, the parallel pages will pass as the story of 2013 unfolds.The photogenic fairy tale known as EFF is in its third chapter. Since the tailored Rothbury has returned in this incarnate, the engaged community has built a loyal fan base with amazing acts from Passion Pit to Greensky Bluegrass, Railroad Earth to Medicine for the People, Beats Antique to Pretty Lights, and of course, the five guys bringing it all to you is String Cheese Incident. The Trifecta-umphant return of Electric Forest is more than trending, it is bending consciousnesses.There are so many opportunities to plug into the community. I’m not just talking about the horseback riding, the Good Life VIP area with an included spa, the water park, or the glow-in-the-dark disc golf course. I am talking about the Human Avatar project, The Einstein Moments Installation, the Instrumental Forester, The Beats Antique Mayhem Marching Band, the Ultimate Camp contest winner, The King and Queen of the Forest, the winner of the Electric Moment Story Contest, the elected officials of the Hoop Troupe 2013, as well as the ongoing contest of the Dome of Dance and amazing Art Installment Sponsors that competed to be at Electric Forest 2013.Christal Quintasket said it best when she said, “Everything on the Earth has a purpose, every disease an herb to heal it, and every person a mission.” Citizens of the forest canopy converge to beautiful Rothbury, Michigan to write more of their story this weekend. Quixotic will return tenfold to cover the forest in their style of beauty and bizarre breathtaking brilliance. New and exciting to me is Nahko and Medicine for the People. Along with their native idealism is their brethren Dustin Thomas, playing both the Forest Stage and the newly designed Observatory. This year is five golden stages filled with glory and gusto, or even the contest winning Instrumental Forester. After last year, the undeniable inspiring Dixon’s Violin is back to create more soundtracks for your enlightenment.I want to know what moves you and why you make the trek up north to share in this universal vibe. If you’ve gone to EFF 2011 or 2012, you know what I mean. If you haven’t been yet, please understand that this festival is more of a convention of bright stars. Come visit Grateful Web! We wanna share your story or at least take a picture of your beautiful face! Bring your light and I’ll see you in the forest. I look forward to hearing your story!Check out Grateful Web's coverage from 2011 and 2012.